Momentum Indoor Climbing is entering the Pacific Northwest market by rolling out two gyms in Seattle. Momentum SODO, a 19,200 square foot bouldering gym is expected to open in Q3, 2018. The gym is the brand’s third full-service bouldering specific facility in the United States. Momentum Seattle, a 42,000 square foot full-service rope and bouldering gym is projected to open in Q1, 2019. Momentum Seattle will be the company’s largest facility to date and the biggest rope climbing gym in Seattle. The announcement comes on the heels of Momentum’s introduction of two similar products in Houston. When the Seattle gyms are complete, Momentum will operate seven locations in the United States. restaurants. Momentum SODO’s neighbors include leading companies like Starbucks whose corporate headquarters is nearby. Construction on Momentum Seattle is expected to start in Q1, 2018, and will include a 7,000 square foot addition to an existing building for a total of 42,000 square feet. The gym will have an estimated 30,000 square feet of climbing wall surface. 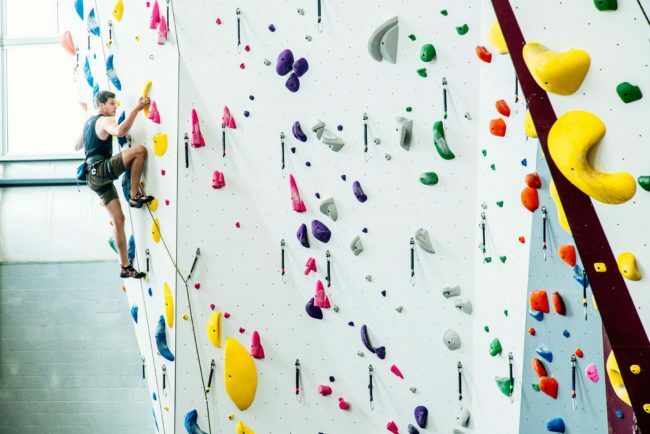 Plans include a 6,000 square foot area dedicated to climbing specific training as well as weights and cardio equipment. Other amenities include a yoga studio, designated kids and youth climbing area, a 1,000 square foot gear shop, daycare, and social / work space areas. Momentum Seattle is a major remodel of a building that was formerly Color Graphics, a printing service company. The location is near mass transit hubs including the city’s upcoming light rail project and offers convenient freeway access. Momentum Indoor Climbing owns and operates three gyms in the Salt Lake City area and launched two facilities in the Houston area. Momentum Katy, a 36,000 square foot full-service facility opened in July 2017, and Momentum Silver Street, a 40,000 square foot bouldering gym will open in downtown Houston’s Silver Street area in November of 2017.